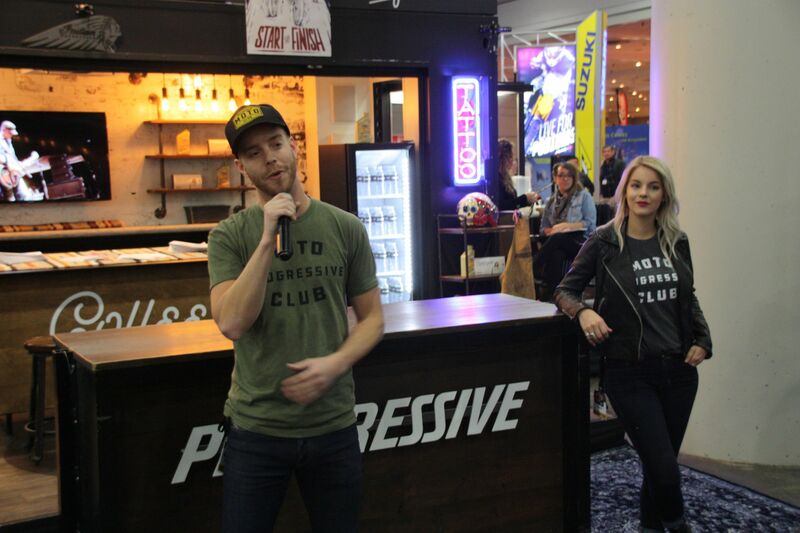 International Motorcycle Shows are sponsored by Progressive Insurance as a way to promote their insurance products for motorcycle owners. Photos by the Hemmings Staff. 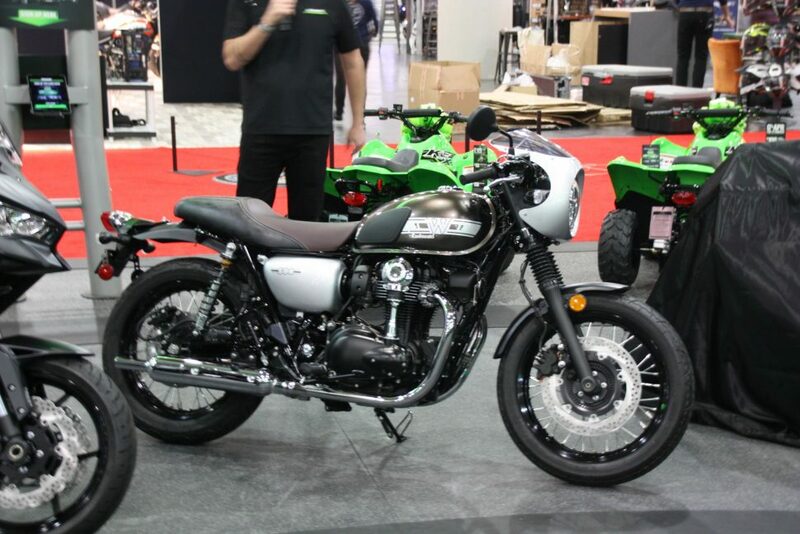 Adventure bikes and new riders were the two big themes at this year’s Progressive International Motorcycle Show, which Hemmings editors Jim O’Clair and David Conwill reconnoitered on November 30, 2018. 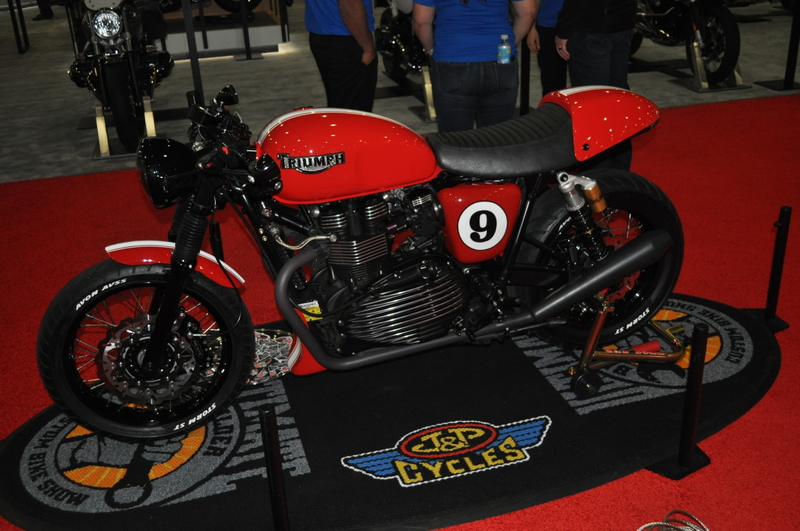 The IMS is the motorcycle world’s equivalent to the New York International Auto Show that we attend each spring to see what the OEMs are up to that might affect the old-car world. The IMS, though, is a slightly different affair—smaller and more intimate and with a greater focus on recreation and fun. Outside of a few large urban areas, people must own cars and trucks these days. Motorcycling remains something discretionary. That was emphasized by presenter Robert Pandya who put the number of non-riders at 97-percent of the population. It means that the motorcycle industry, while not growing as much as is hoped–and threatened, like old cars, by the rise of self-driving vehicles–has plenty of room to expand. 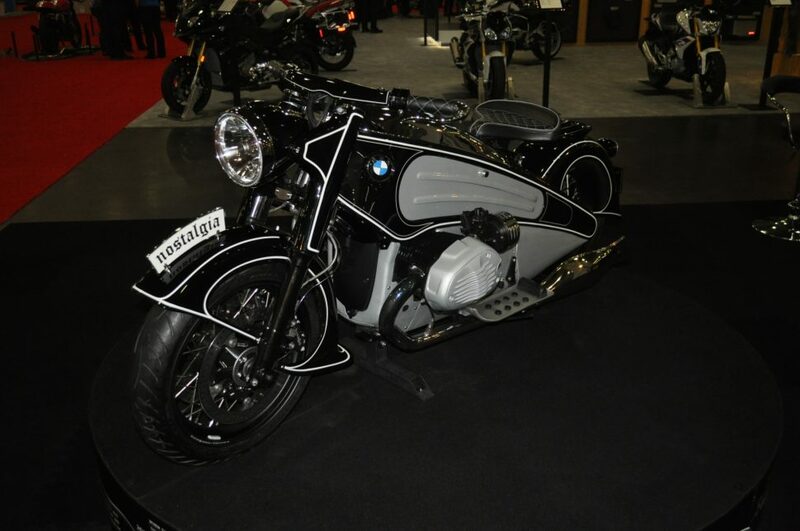 Nmoto, Inc. had one of its don’t-call-it-a-BMW reworked, Streamline-Moderne style cycles on hand and at first we took it for a one-off custom. Look for more on this in an upcoming article. 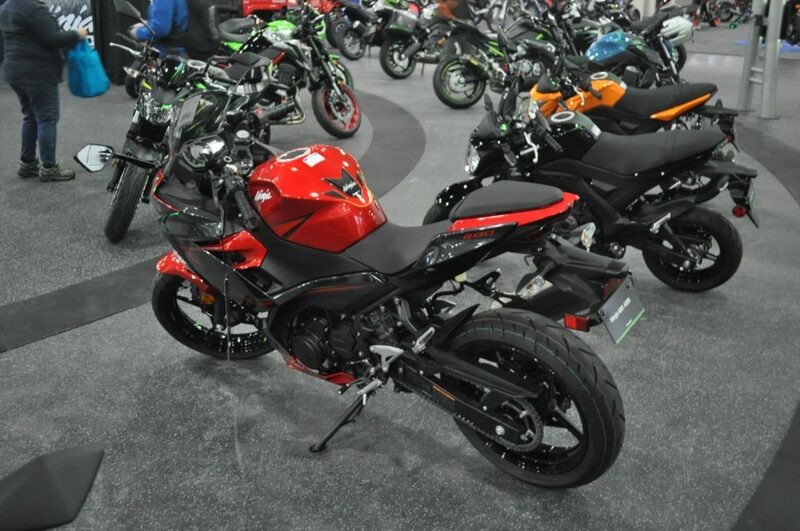 With a market that size, there is still a lot of room to expand by enticing newcomers instead of fighting over the existing market (78-percent of whom, according to another speaker, operate a pre-owned bike rather than one purchased new). It also felt very similar to the old-car world, where folks also participate by choice rather than out of necessity. 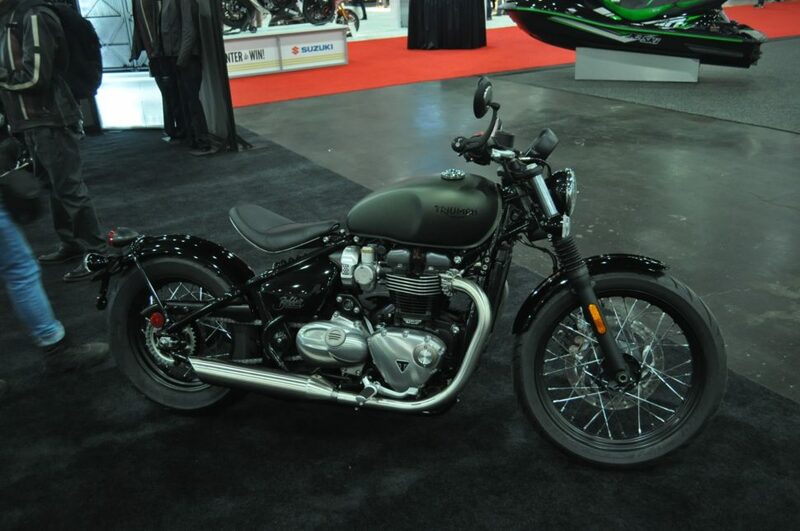 To attract new folks, many manufacturers are looking at women—a demographic increasingly likely to purchase and ride a bike rather than be content to just come along on the pillion. Low seat height was an aspect emphasized by virtually every manufacturer, with adjustability to accommodate a broad range of riders coming in for particular pride. 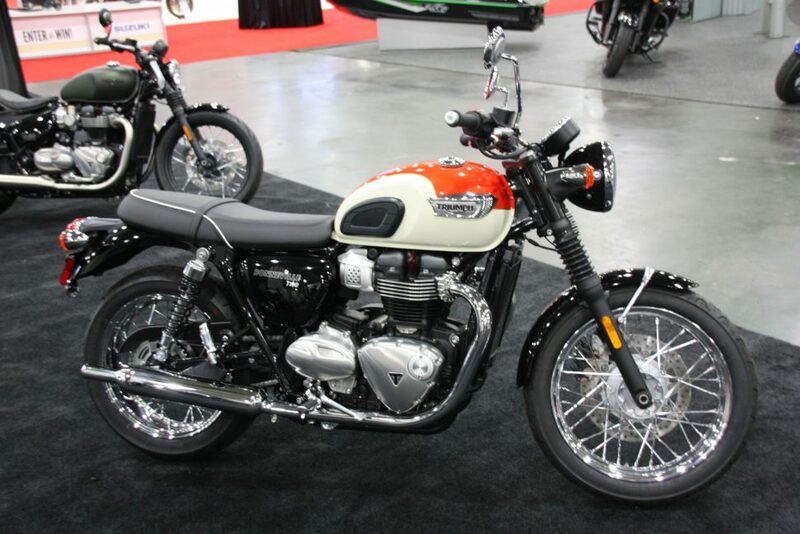 In addition to its hot-selling Himalayan adventure bike and traditional singles, Royal Enfield had its new twins, like this Continental GT and its INT 650 (“Interceptor” in most markets) sibling, on display. The air-cooled vertical twins are set to be available this spring, just in time for the 2019 riding season. Adventure bikes are another way that the hobby is looking to expand. While the classic long-distance road trip, ala Easy Rider, is still a staple among the cruiser scene, adventure bikes offer a different appeal—crossing the off-road utility of the dirt bike with road manners suitable even for commuting. The best comparison may be the accessorized Jeeps that are so commonplace today: A lifestyle accessory to advertise that the owner does exciting things on the weekends. Choppers, cruisers, and nostalgia haven’t gone anywhere either. While there were plenty of high-tech machines on hand, the simplicity and timeless looks of a motorcycle remain arguably its biggest appeal. 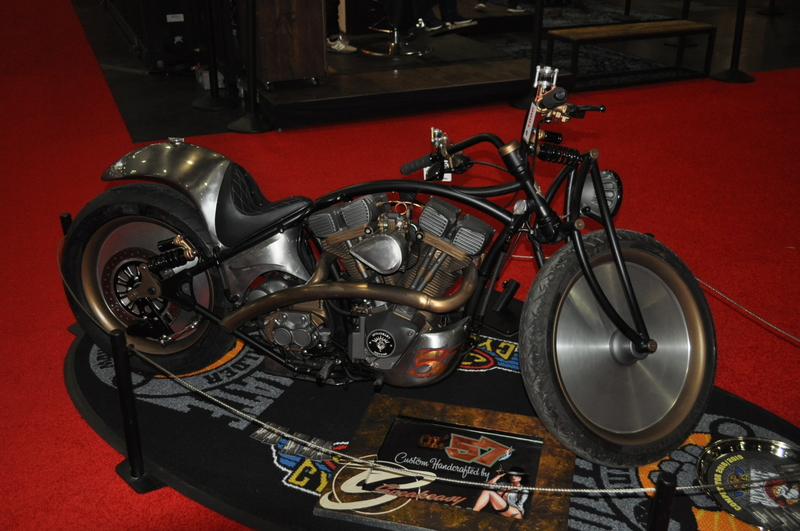 The customized machines on display were clear evidence of that, as was a continued OEM investment in retro. 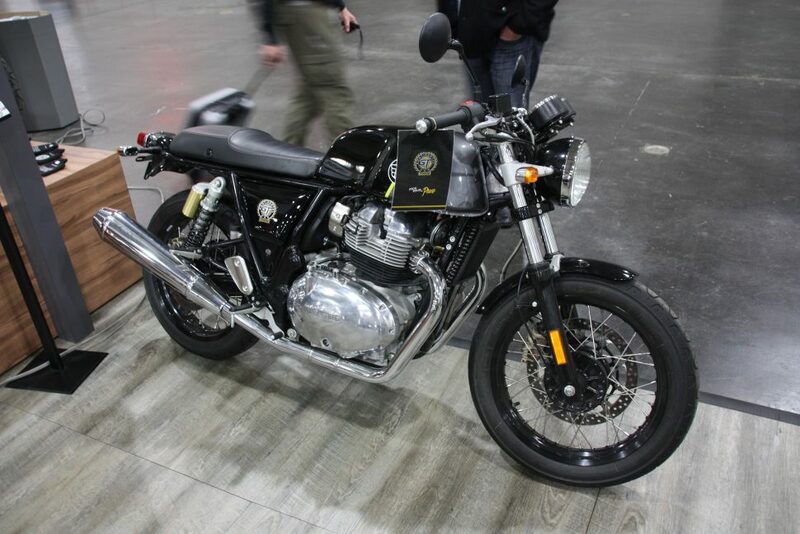 Even the folks at Kawasaki, clearly excited over the latest iterations of their ultra-high-performance Ninja series, had a nice, retro W800 café racer to show off, inspired by the original Kawasaki W1’s of the 1960s. The revived Kawasaki W800 is another nostalgic, air-cooled vertical twin that recalls the BSA-derived W1’s of the 1960s. Last but not least, the folks at IMS had teamed up with Zero Motorcycles and Yamaha Power Assist Bicycles to provide an experience that was simultaneously a taste of the future and an inspired way to get non-riders interested in the hobby. A test track on site permitted interested parties to test out Yamaha’s new series of electric-assist bicycles and Zero’s electric motorcycles, though the latter were speed limited to 12 mph for safety. The point, it seemed, was that motorcycles need not be noisy, smelly, and intimidating, and that it’s a logical step to move from a bicycle to a motorcycle. A course for electric push bikes held what is likely to be the real key to motorcycling’s future: Getting children into riding at a young age so two-wheelers become a lasting part of their psyche. 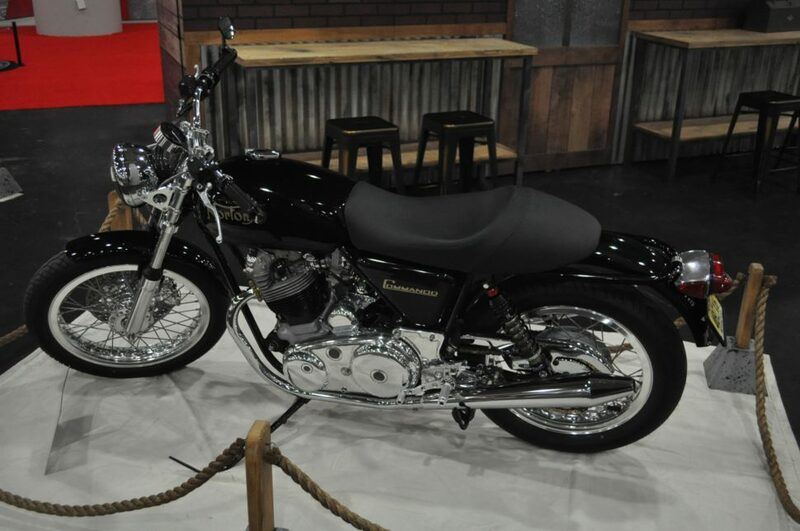 Kawasaki’s display included two new varieties of Ninja, a back-to-basics “naked” bike, and the aforementioned W800. 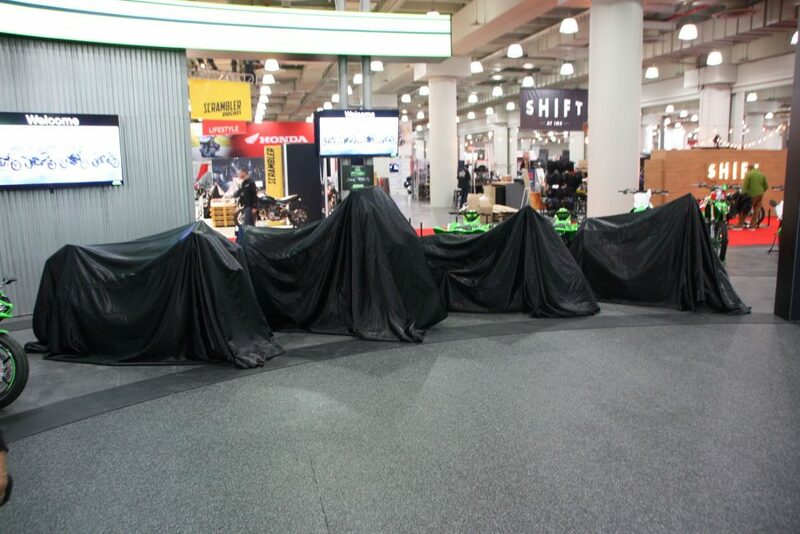 This wasn’t technically an unveiling, as most had been seen at the EICMA show in Italy, but it was their stateside debut. Kawasaki touted its Ninja series as incredibly high-tech, with computers making on-the-fly adjustments and aiding the rider at every turn. Technology that is probably a safety factor with bikes capable of such incredible speeds. 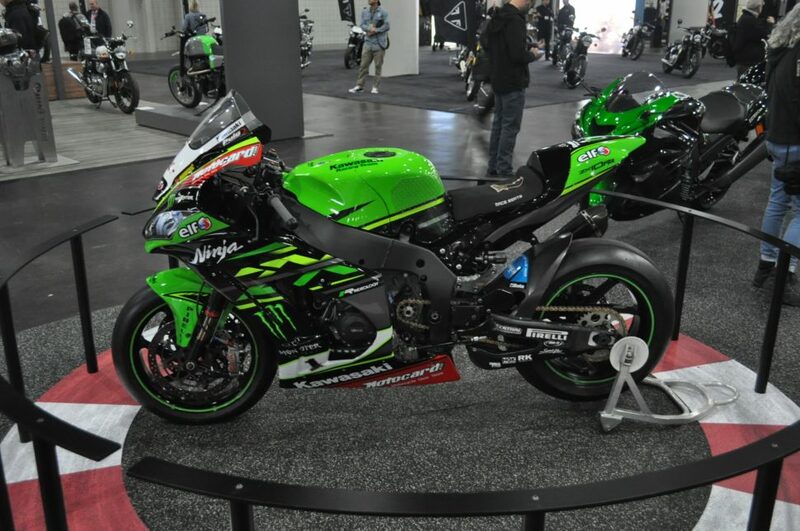 A specially prepared but essentially unmodified Ninja H2 set a 209+ mph record at Bonneville this summer. 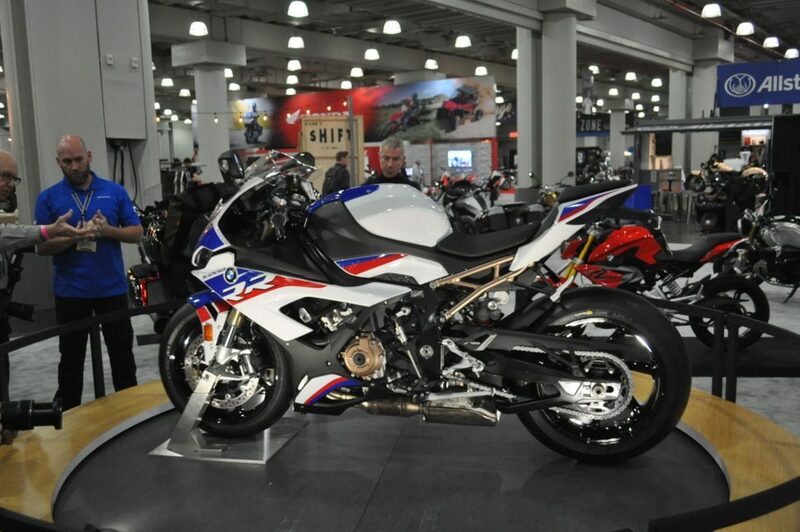 BMW showed off “one of the broadest portfolios in the industry” and announced its return to superbike racing with the unveiling of the S 1000 RR race-ready model, which is 424 pounds lighter than the race bike it replaces and pumps out a staggering 207 hp. 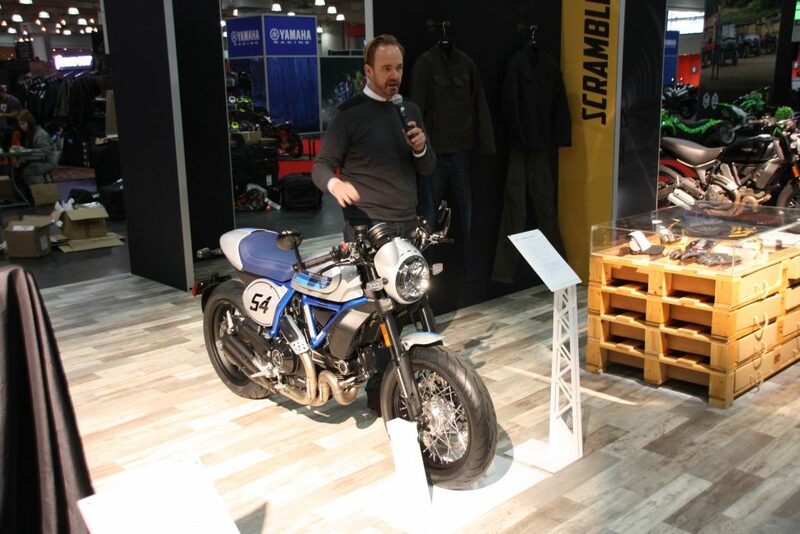 Ducati North America CEO Jason Chinnock, seen here going over the finer points of the Scrambler Cafe Racer, was on-hand from California to tout the capabilities and fun of both the state-of-the-art Ducati line and its more retro-influenced companion make, Scrambler–the latter combining nostalgia and adventure-bike capabilities in a modern package. The new Scrambler Full Throttle is influenced by a lightly modified Scrambler used for racing. 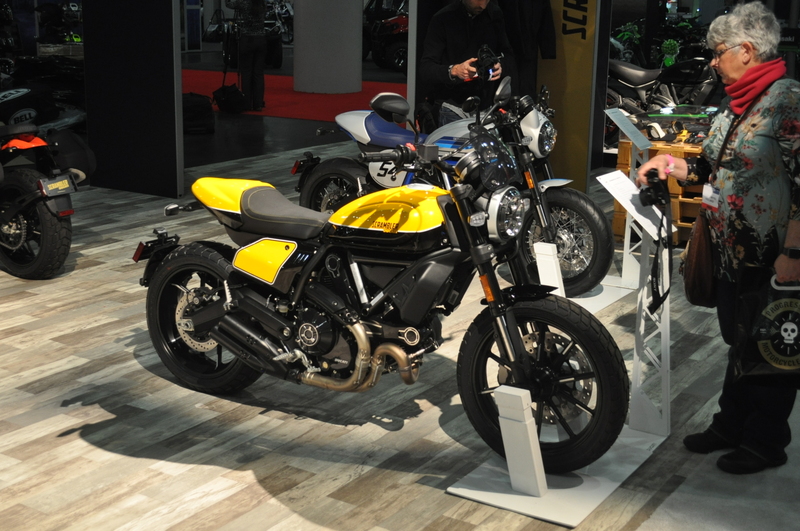 Ducati is also promoting its new-to-America Ducati Riding Experience Enduro school, which is designed to counteract the “coffee-shop SUV” phenomenon where capable bikes never get used as their designers intended. 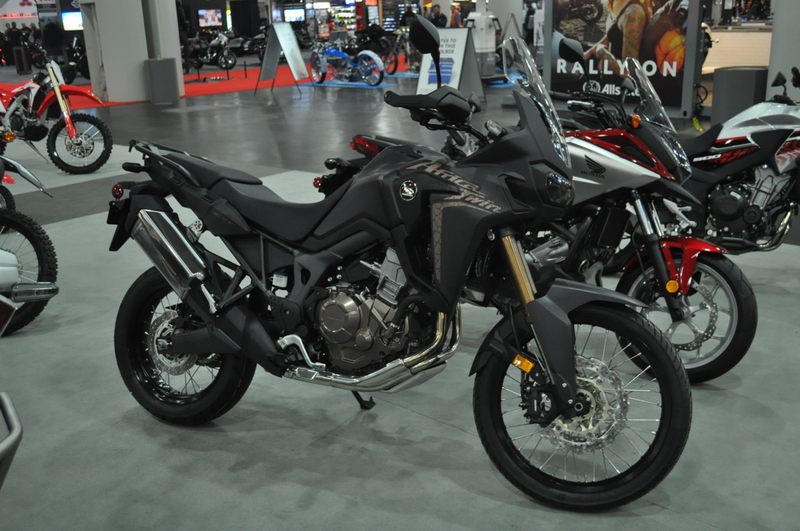 The motorcycle division of the “World’s Largest Engine Manufacturer” (Honda) had a display crowded with everything from superbikes, to entry-level dirtbikes, to adventure bikes like this Africa Twin. 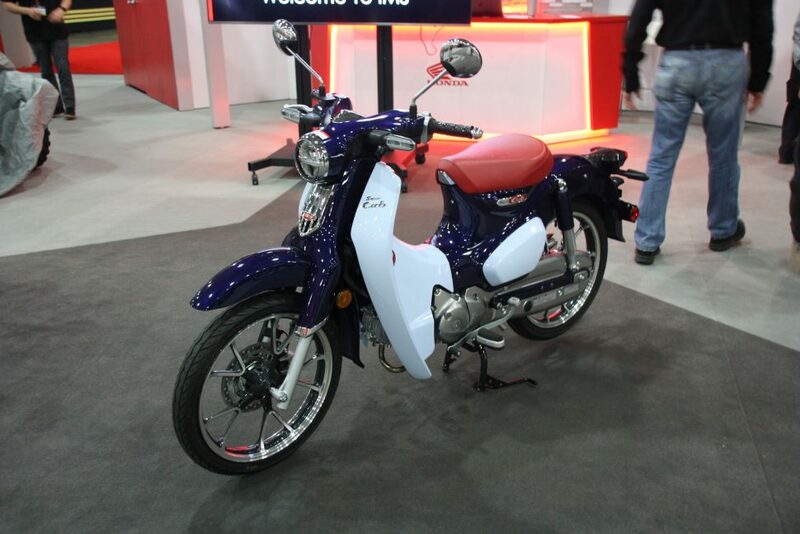 Retro was well-covered by Honda, too, which had on hand both a revived Monkey bike and Super Cub. 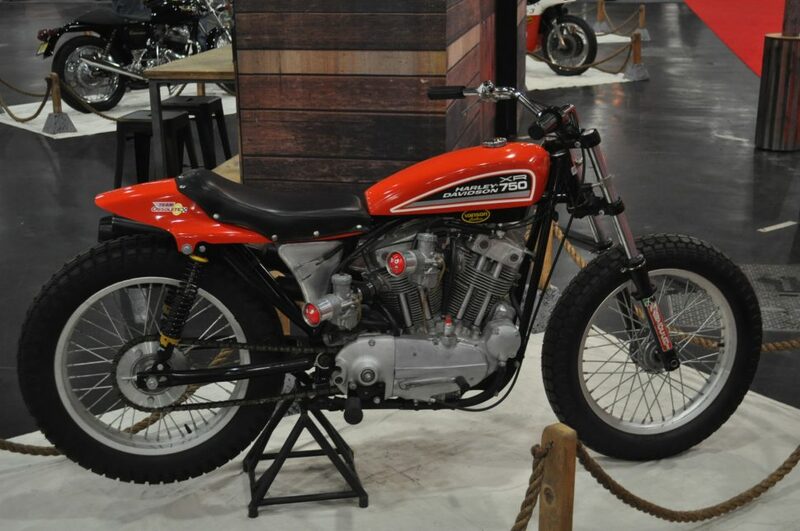 The Super Cub, more than anything else we saw, looked like it might tempt many new folks onto two wheels for the first time–worldwide it’s the most popular motorized vehicle in history. Triumph’s big announcement was a pair of all-metal (i.e. no-plastic) adventure bikes that featured car-like infotainment systems. Instead we preferred the simpler, more-traditional products from the storied British marque, including a bobberized Speedmaster (above middle). 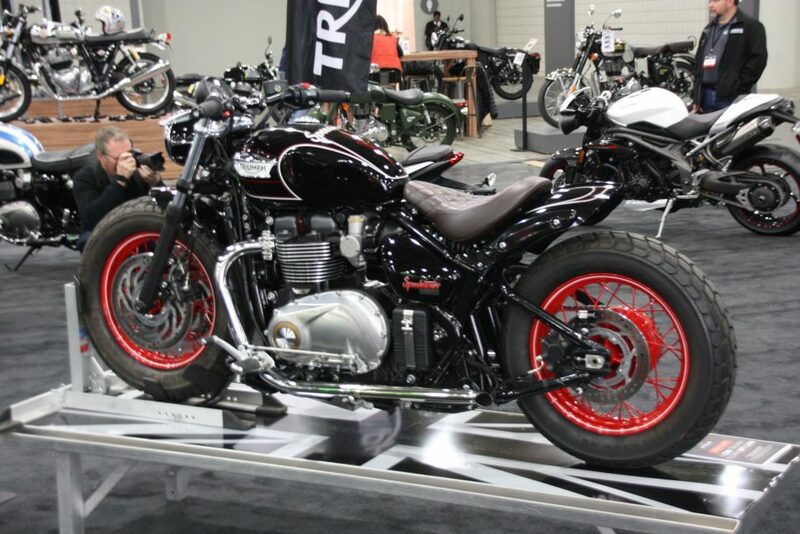 Numerous antique and late-model bikes that had been restored or customized were on hand because what else is a new-to-you motorcycle if not a blank canvas for personalization?